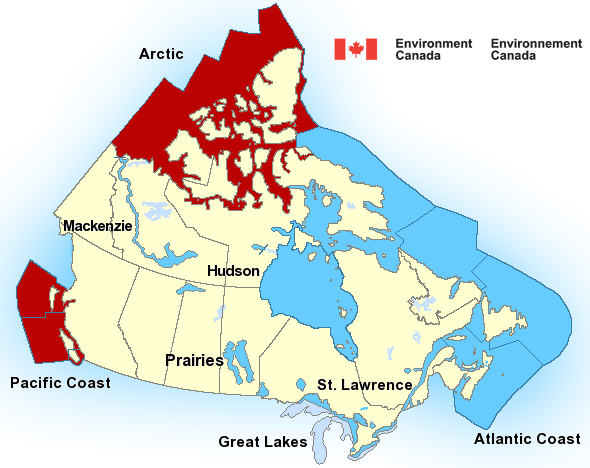 The Association of Canadian Sea Kayak Guides advocates the highest standards for sea kayak guides in Canada. We promote professional risk management and responsibility on commercial sea kayak tours worldwide. Guides are invited to apply, transfer or recertify. Outfitters are encouraged to verify certified guides. Representing the interests of professional sea kayak guides to private, commercial and government groups. 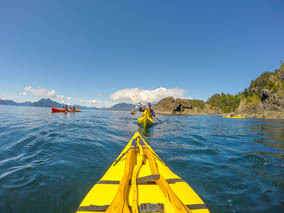 "The Association of Canadian Sea Kayak Guides was the first organization to have their guide and operating standards approved for Gwaii Haanas. ACSKG standards have become the benchmark against which all other standards are evaluated." For more information on kayak guiding standards in Gwaii Haanas, please contact Parks Canada. Alliance or Association - What's the Difference? A number of guide training courses falsely claim ACSKG accreditation. ACSKG accredited course providers are listed here. Applying for accreditation is a simple process for courses and instructors who qualify. 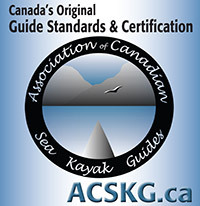 Paddle Canada instructors, SKGABC guides and those certified by other reputable sea kayak guide organizations may be eligible to transfer to the ACSKG without additional exams. The ACSKG has requested a comprehensive review of kayak tour operating standards and guide requirements for Pacific Rim National Park Reserve. View the details.